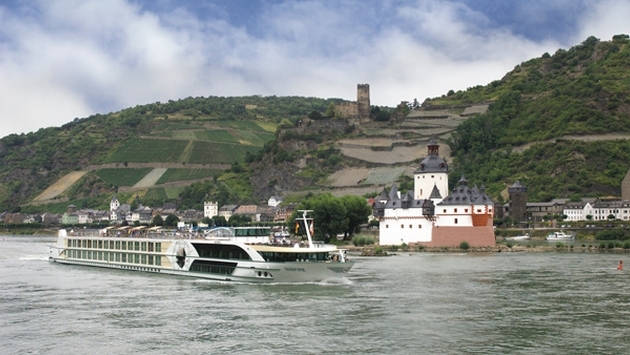 Tauck added two new river cruises to its menu for 2015, bringing its total number of river cruises to 19. Newly added is a 23-day trip that spans three countries called “Belle Epoch: London to Monte-Carlo.” It starts with two nights at the Savoy in London, with guided sightseeing and a Tauck-exclusive meeting with Celia Sandys, the granddaughter of Winston Churchill and author of five books on Churchill. After crossing the English channel, Tauck guests will board the ms Swiss Sapphire and travel the Seine River for nine days, stopping at the Normandy D-Day beaches and Monet’s house in Giverny, and sampling local foods and wines along the way. In Paris, passengers will take the high-speed train to Lyon where they will board the Swiss Emerald for another nine-day cruise, this time on the Rhône River, stopping for wine tastings in Burgundy and Chateauneuf-du-Pape, visits to abbeys, a tour of the Palais des Papes in Avignon, a game of petanque with locals in Viviers, and a meeting with cowboys of Provence’s Camargue region. Guests will disembark in Arles, then travel to Monaco for a two-night stay at the Fairmont Monte Carlo. Tauck’s second new river cruise, the eight-day “Castles on the Rhine,” is part of its Bridges series of family programs. The tour is taken on the riverboat ms Inspire and includes a ride on the world’s steepest cogwheel travel to the top of the 7,000-foot Mt. Pilatus and journeys through France, Germany and Holland.